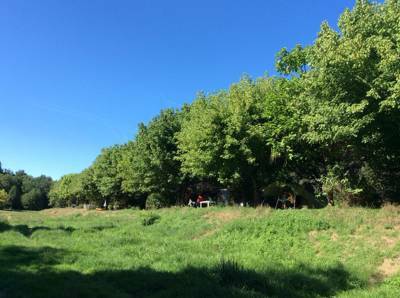 A beautiful camping pitch with views over the river. 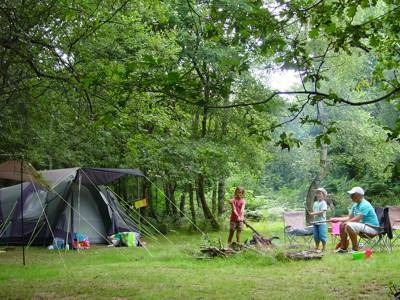 Never has a campsite harnessed so much power of nostalgia. 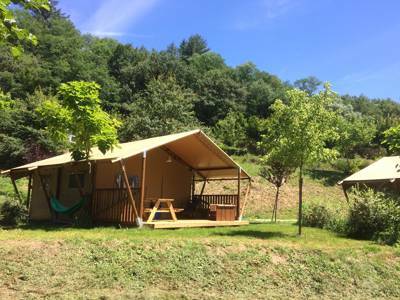 Like the city image of a handsome, sun-tanned Parisian cycling around beneath the Eiffel Tour, La Chatonnière is the archetypal vision of the countryside, all parceled up into family campsite form. 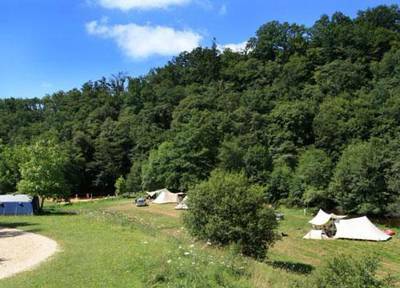 Picture, if you will, quintessential French camping and then get out your checklist… Send us a postcard if anything’s not ticked off. 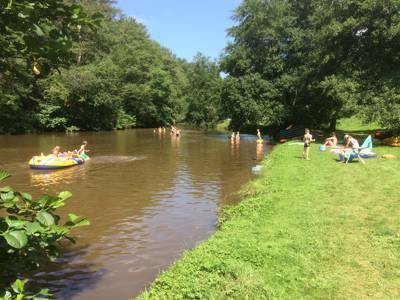 For starters there’s the river, glistening in the sun as it flows languidly around long, sandy meanders, perfect for paddling, swimming and cooling off from the midday heat. Along it’s edges the grass has been systematically worn down by picnic blankets and sun towels or grows in shrub-shaped patches beneath the dappled shade of trees. Then there’s the fantastic number of tents, giving a real traditional feel to the place. 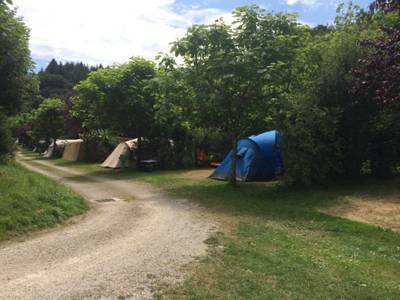 Campervans and caravans are still very much welcomed, but the apron of grass at the very bottom of the site (where cars are not allowed) mean it’s still the old-school camping clan that thrive. It’s the atmosphere, however, that’s most fitting. Utterly relaxed and laid back, the place has a plethora of excellent facilities yet none of that Euro Camp feel that’s become more common in recent years. There’s badminton, boules and table tennis, bikes for hire and boats you can borrow to dabble about on the water, plus a small shop where they sell ice creams and deliver fresh, pre-ordered bread each morning. It’s both remarkably casual yet wonderfully well organised. Precisely what you want in a campsite. 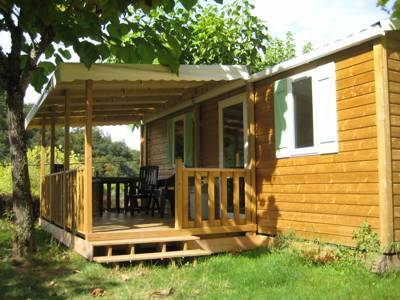 The surroundings are, in fact, all part of a designated nature reserve – Parc Naturel Regional Perigord-Limousin – an added reason why the focus here is on keeping things simple and natural rather than artificial and commercial. Even their facilities are suitably green; the toilet flush uses water from the river, the shower heating is all aided by solar panels on the roof and any leftovers from the shop? We’ll they get fed to the owner’s goats of course! So with the atmosphere in top order, facilities to boot and surroundings green enough to be given ‘Parc’ status, it surely leaves just one more box on the checklist – a little culture française. How about a spectacularly grand, 12th-century château within easy walking distance? Big fat tick for that one. 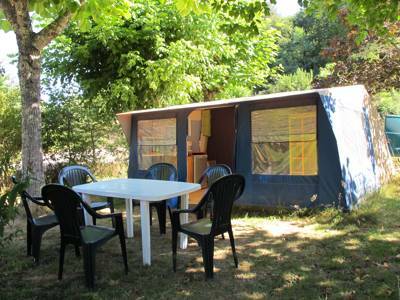 For latest availability and best prices for Camping La Chatonnière, please use the Date Search above. Try The Gold Museum (0033 5 5352 5543), situated in the impressive central square in Jumilhac-le-Grand. The history of gold digging is all explained in this fascinating little museum – they began mining here over 250 years before Christ. Nowadays there's a goldmine just north of Jumilhac-le-Grand which produces 2000 kilos of pure gold each year. In the gold museum you'll find out everything there is to know and, if the weather improves, you can even sign up at the campsite reception to do a little gold panning yourself in the waters just downstream (€15 per person). Late May – mid September. 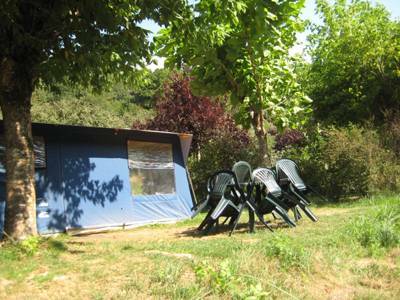 Tent plus 2 people: €14–€26 per night; mobile homes €345–€795 per week; furnished tents €295–€595 per week.